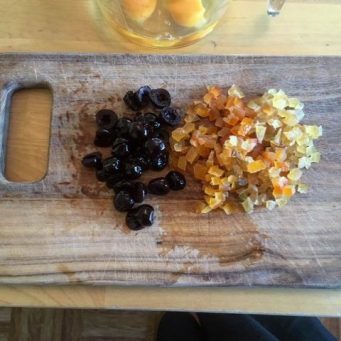 This time of year, our Delicatessen is brimming with a selection of Christmas dried fruit. 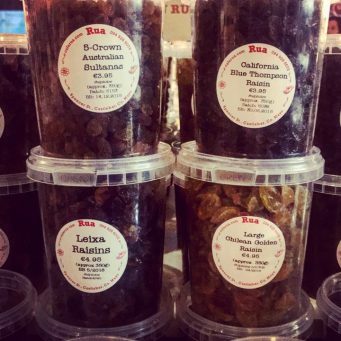 Imported from around the world by Peter Ward’s Country Choice store, we’re currently stocking organic Californian raisins, Australian 5 crown sultanas, Italian amarena cherries and other exceptionally good quality fruit for giving your Christmas cakes, plum puddings and mince pies extra luxurious flavour. 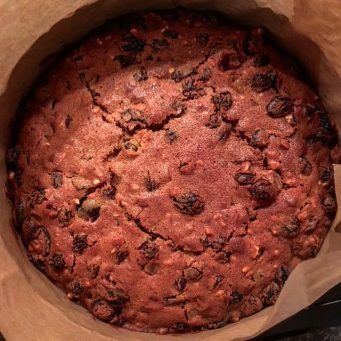 If you’re going to put the time aside to do your own Christmas baking, it’s worth getting your hands on some great quality fruit. 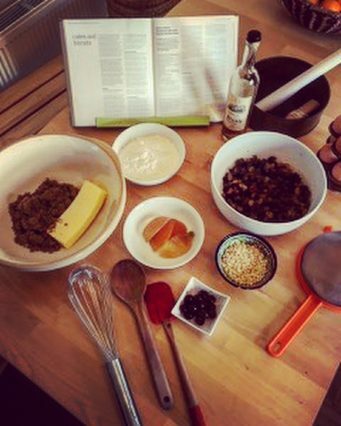 Here’s a recipe for a simple, but really delicious Christmas Cake. Please call us on 094 9286072 or mail us to caferuadeli@caferua.com at the delicatessen if you have any specific questions on our stock of fruit. 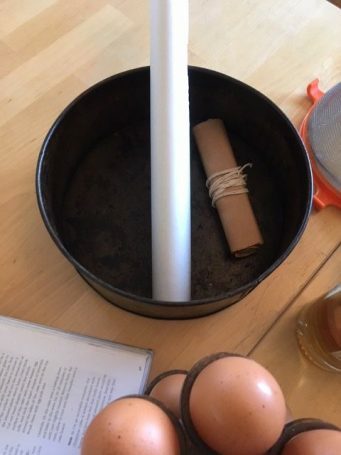 – Allow to cool, and keep in air tight container. 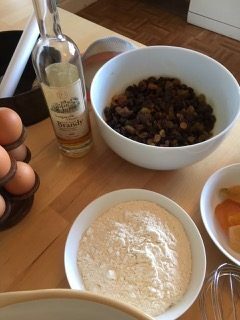 – Add a little brandy weekly to help cake mature, and wrap cake in both parchment and cling film after each ‘dosing’ (‘brandy wrap’). 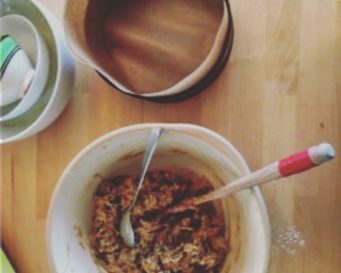 – Your cake should be ready and delicious to eat after 3 weeks (and if you can stretch it to 5 weeks, even better). 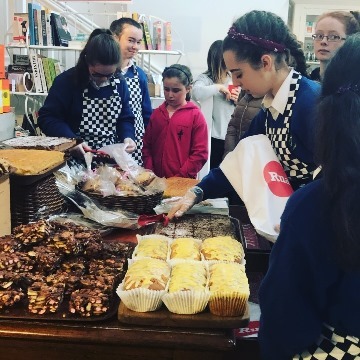 Last Sunday the 15th October the St.Joseph’s TY class took over the deli on Spencer Street for their annual Bake Sale to raise funds for their Home Ec. Dept. 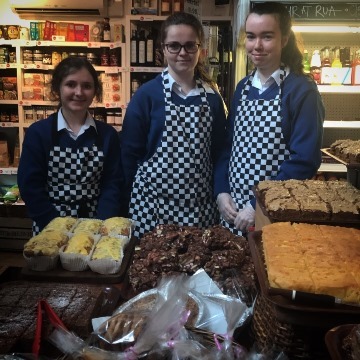 The girls were busy prepping on Friday and were up early on the Sunday morning baking a dazzling array of cakes and bakes for their Sun-day sale. 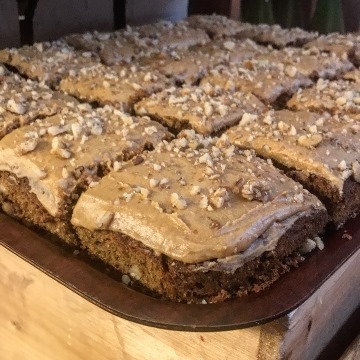 Coffee walnut slices, lemon cakes, cookies, apple crumbles and brownies were just some of the cakes on offer. 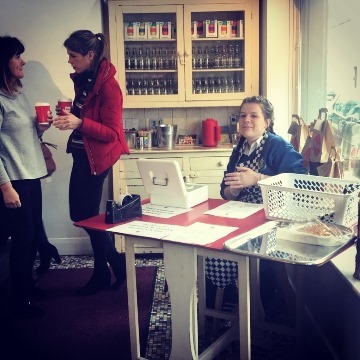 As soon as we opened the doors on Sunday at 12 the girls were busy wrapping and selling their cakes. 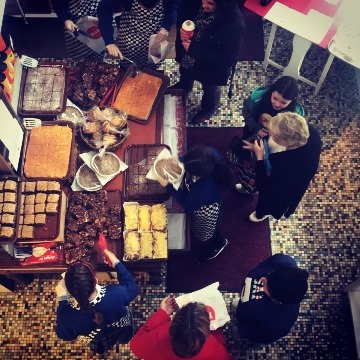 All cakes were sold out by 3pm! 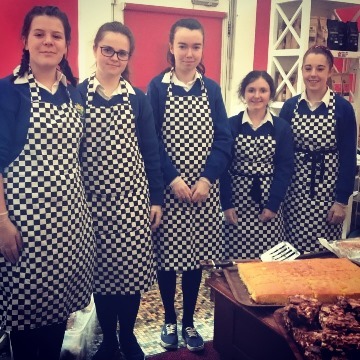 Special thanks to the TY teachers and to our own baker Derek for organising ingredients and getting the girls all set up for their sale. And of course thanks to all who came along to support the students on the day. 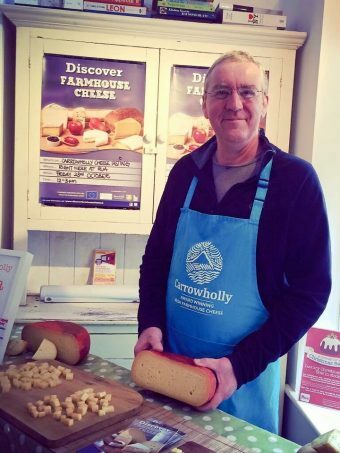 It was with great sadness that we received the news just last month that Carrowholly, our locally produced and much loved cheese, would be ceasing production within the coming weeks. 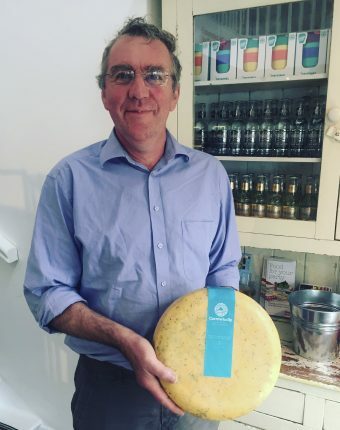 Andrew Pelham Byrne started making his cheese way back in 1999, just a few years after we started our own business. Since then, we’ve been lucky enough to have regular deliveries of his full-flavoured and deliciously creamy cheese varieties, originally to our café and later on, to our shop on Spencer street. 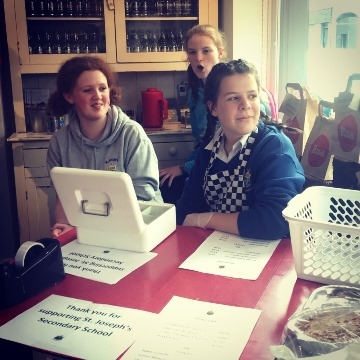 In fact, the original inspiration for our decision to open a delicatessen in 2007 was to meet the demand that existed form our café customers to be able to buy and take home wonderful local produce, such as Andrew’s cheese. 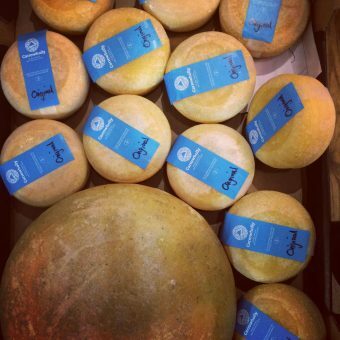 Andrew handmade all the cheeses himself from raw cow’s milk, collected from local farmers . It was made in five main flavours: Plain, Garlic & Chive, Nettle (Gold Award, World Cheese Awards 2008) Cumin and Pepper. 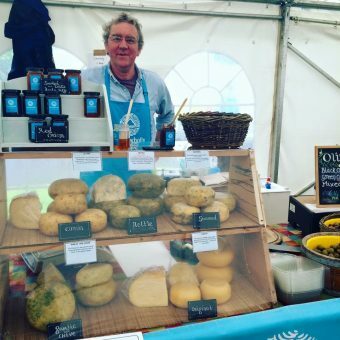 In addition to being stocked at Rua, Andrew sold his cheese every Thursday from his stall in Westport, as well at local fairs and heritage days across the country. 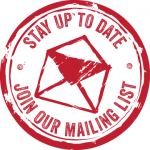 Due to ill health, Andrew has made the difficult decision to cease trading. 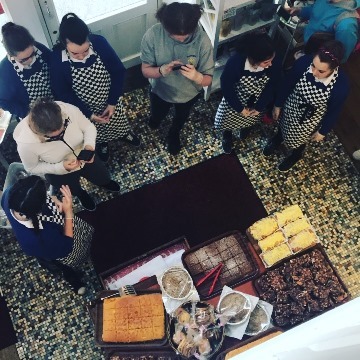 We will very much miss his monthly delivery to our café’s and shop and wish him the very best for the future. 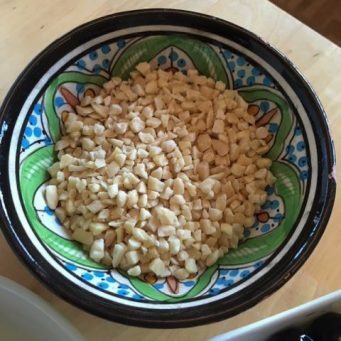 On Friday August 18th, we’ll be celebrating his wonderful cheese with the very last wheel of Carrowholly – (Garlic and Chive variety) throughout our café’s and deli. 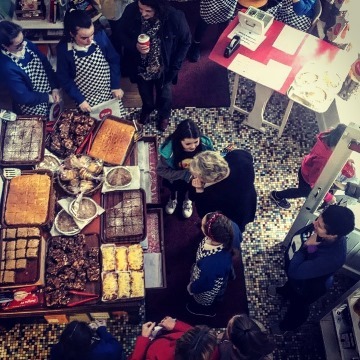 Our menu will feature a variety of dishes such as a Carrowholly cheese tart, hot sandwiches and our own Mayo Mezze board, which, for the last time, will host a slice of Carrowholly cheese paired with Sean Casey’s quince jam. 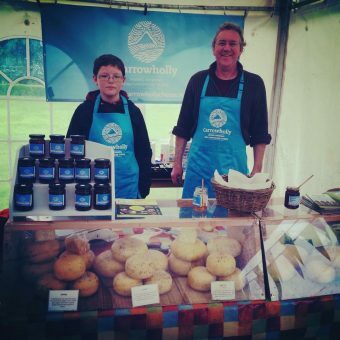 We’ll also have some Carrowholly focaccia bread and a take out ‘ploughman’s’ salad box from our delicatessen. 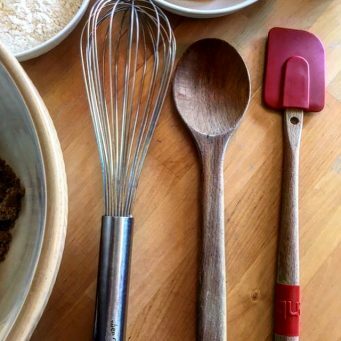 All money raised on the day from dishes created using Andrew’s cheese will be donated to local cancer charity, Rock Rose House.